Henrik Stenson got up-and-down from just off the edge of the 18th green to post a three under par 68 to lead by one shot from Phil Mickelson on 12 under par overall. The American left-hander had started the third round one shot clear of Stenson but he dropped back into second place after posting a one under par 70 which gave him an eleven under par total. The Championship is looking very much as if it will be a two-horse race because there is a five shot gap back from Mickelson to third-placed Bill Haas who carded a 69 to position himself on six under par as he bids to claim his first top-ten finish in 28 appearances in a Major Championship. The leading British player going into the last round is extrovert Englishman Andrew ‘Beef’ Johnston who entertained the crowds while posting a one under par 70 to claim fourth place on five under par. America’s JB Holmes is one shot further back after carding a 69 while a fine 68 from Holmes’ compatriot Steve Stricker saw the 49-year-old veteran climb into a share of sixth place with Tony Finau and Soren Kjeldsen on three under par. The top-ten heading into Sunday is completed by Patrick Reed, Sergio Garcia, Charl Schwartzel and Keegan Bradley who are all tied at two under par, one shot in front of Tyrrell Hatton, Jim Herman, Dustin Johnson, Kevin Na and defending champion Zach Johnson who now has it all to do after slipping back with a 75. 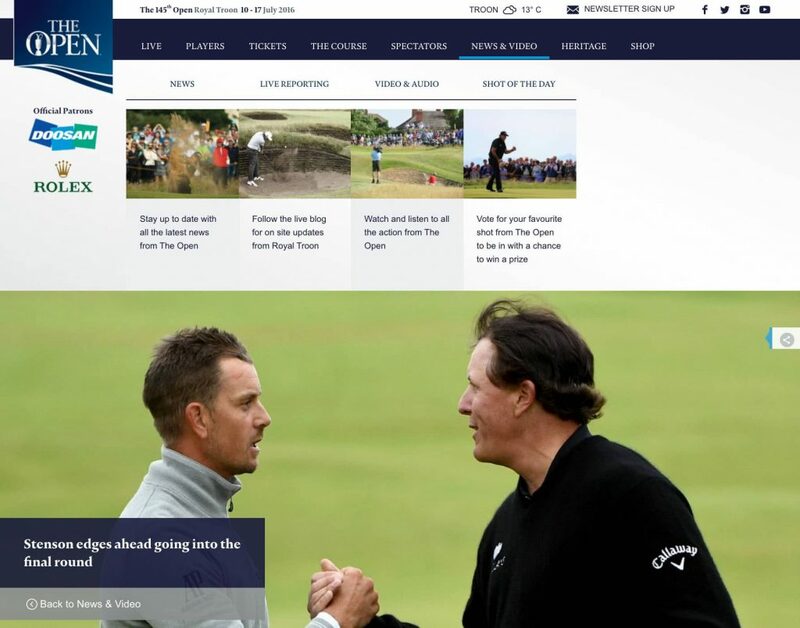 Stenson is looking forward to playing in the same group as Mickelson for the second day in a row and hoping the outcome will be different from The Open in 2013 when the American beat him into second place at Muirfield.